There been a lot of good eats happening over here! Just wanted to share my two favorite form the last week! The first is a beluga lentil and asparagus dish in a basil and mint pistou. 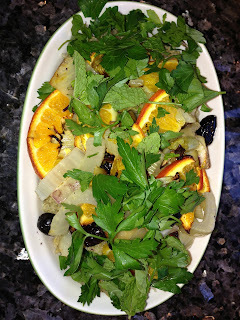 This recipe came from The Sprouted Kitchen. Easy and delicious! 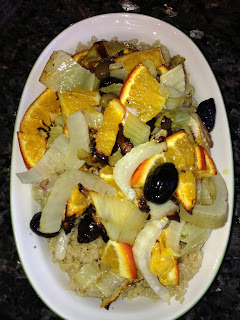 And the second one comes from The Kitchn - a roasted fennel and citrus salad over cous cous. But it was originally inspired by and was originally inspired by the beautiful cookbook, Jerusalem, by Yotam Since I'm not eating cous cous these days, I replaced it with protein packed quinoa. Look how gorgeous it is when you throw a bunch of fresh parsley down! Happy Monday and wishing you a week of good eats! Your site is wonderful and diverse. Being disabled and insomniac I am always busy with you.